Yep, this is a pre-MS-buyout game and will almost undoubtedly be multi-platform. It's like this gen didn't happen. Can we all now agree that post-apocalyptic games have gone the way of 2000s WWII shooters? Every. strawberry floating. Franchise in the world getting on this gooseberry fool. I'd make a joke about a Crash Bandicoot game being revealed in a post-apocalyptic world, but no doubt fan theories already label the entire franchise as taking place in one. DarkRula wrote: I'd make a joke about a Crash Bandicoot game being revealed in a post-apocalyptic world, but no doubt fan theories already label the entire franchise as taking place in one. Metroid Prime Trilogy HD is being rumoured as well.......god that would be amazing! Let the mindless speculation begin! Maybe a reveal for Typhon Hunter and Transtar VR. I’d rather watch the reveals in the actual show. Just posting leaks seems pointless when the event is only a few hours away. It's starting to seem very likely that Crash Team Racing is getting a remake, and that Spyro will be a part of it. Or at least there's some kind of racer that stars the two being revealed. The Twitter accounts of both seem to be teasing something, what with the Crash fluffy dice and Spyro arriving at Glacier Park [one of the hubs of CTR]. I'm not going to be able to see any of this happen live. Still got the excitement of joining the hype later, I guess. No way I’ll be staying up to watch it live, even with having tomorrow off work! I’ll just have a look in the morning to see what has been announced, mainly only interested in stuff that’s Switch-bound anyway. 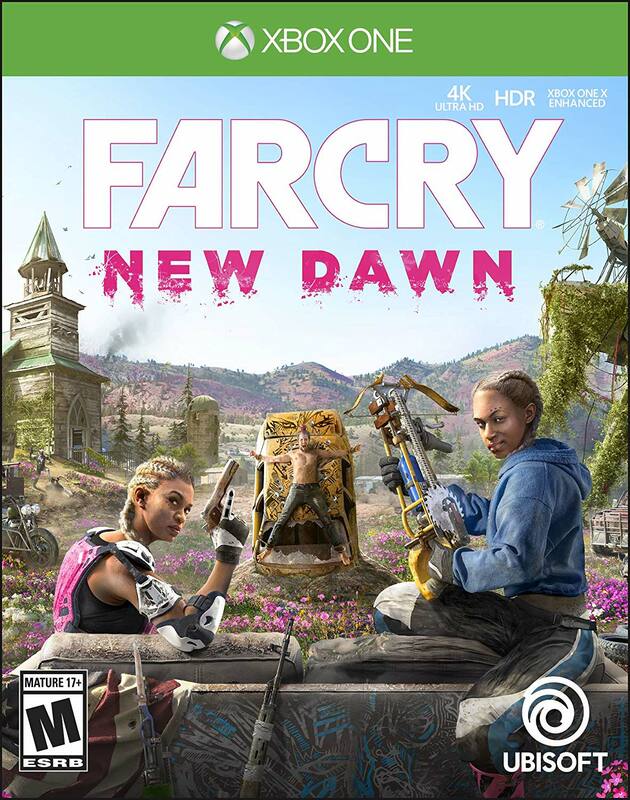 Also knowing Ubisoft what’s the betting that the leaked Far Cry New Dawn cover art was ‘leaked’ by Ubisoft themselves? Always seems to happen for new Ubisoft games (even for their flagship franchise of Assassins Creed), either way it wouldn’t surprise me! I'm off tomorrow so I might as well stay up to see how much of a AAA shitshow it'll be. I have a bad feeling this new Far Cry game is going to be a recycling of the map used in 5. It would explain why it's not a numbered sequel. Not against a a post-apocalyptic Far Cry in principle but I would prefer an all original location. Edit: I mean it pretty much as to be that, right? How else could they produce something worth showing so fast? Last edited by Meep on Thu Dec 06, 2018 9:09 pm, edited 2 times in total.